I am one of those people who will buy food items that are different in shape or size from the norm. I am a sucker for the ‘Mini’ items too. Just something about mini tater tots or smiley-faced fries, make the food just taste that much better. While I do normally seek out these food items, every so often one just comes to me. A few weeks back, I stopped into Whole Foods to get some sushi for sunset at the beach. I happened to walk past these pretzel chips that were on sale and grabbed a bag. Little did I know that I would be Having a Peace when I ate these suckers. I’ve had pretzel chips many times in the past and have already really enjoyed them. I usually purchase the same ones from Publix in the deli area. They are always crispy in texture and Everything in flavor. But, the ones from Publix are just normal pretzel shape. 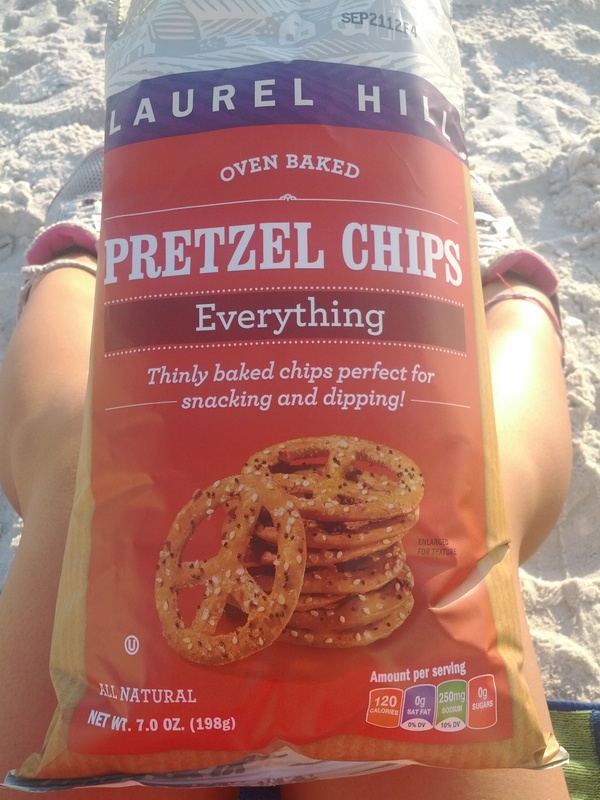 While at Whole Foods, I grabbed this bag of Laurel Hill Oven Baked Pretzel Chips for $2.50. I was in a hurry, saw them, grabbed them and continued on. No other thought was given to them. We arrived at the beach and made our spot. As we watched the sun begin its descent, we ate our sushi and opened up the bag of pretzel chips. When I opened the bag, I found these little suckers were in the shape of a peace sign. Once I looked at the bag again, I saw the outside of the bag had this peace sign shape as well. Now, I was even more intrigued and dug my hand into the bag and grabbed a few. From first review, these pretzel chips appeared to be normal in thickness and have a lot of the Everything flavors. I broke my first piece in half and they did not appear to be extremely crispy. I placed the first half in my mouth and chewed my way through it. I did the same with the second half and then let my mind ponder the flavors & textures that my mouth had just received. The biggest thing my mind found was that the pretzel chip didn’t really have a whole lot of flavor. Even though they had a decent amount of Everything flavor pieces, it did not seem to translate into true flavor. I found the consistency of the pretzel to be kinda-crispy but not very much so – totally not crispy enough. Between the lacking flavor & crispiness, the final result of the pretzel chip was just okay. I continued to eat the Peace’s because, duh, they were Peace shaped. I probably ate a total of 10 Peace signs and didn’t find the flavor to get any better. These weren’t bad but, they also just were not great either. 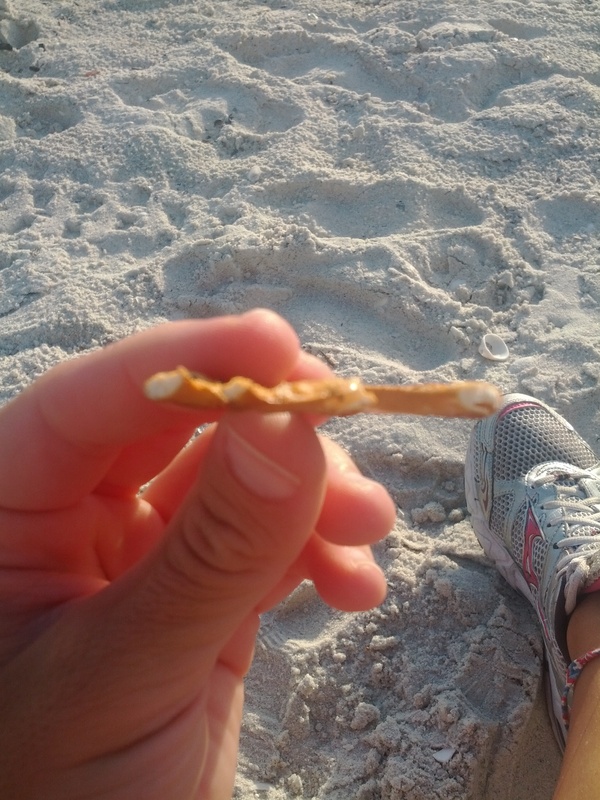 When I have a pretzel chip, I expect it to be crispy and flavorful. These failed in both categories. I mean, these were almost to the point of being less crispy then normal pretzels are. Maybe this lack of crispy had a direct result with the sub-par flavors because, like I mentioned, the Everything pieces were quite apparent. Apparent, yes, but flavorful, well no. These pretzel chips were fine if there is nothing else to eat but, I have no reason to ever purchase them again. Plain and simple, they were just fine. Now, if you are looking for a Peace of something, these are the pretzel chips for you. If not, just stick with the normal Deli style pretzel chips. 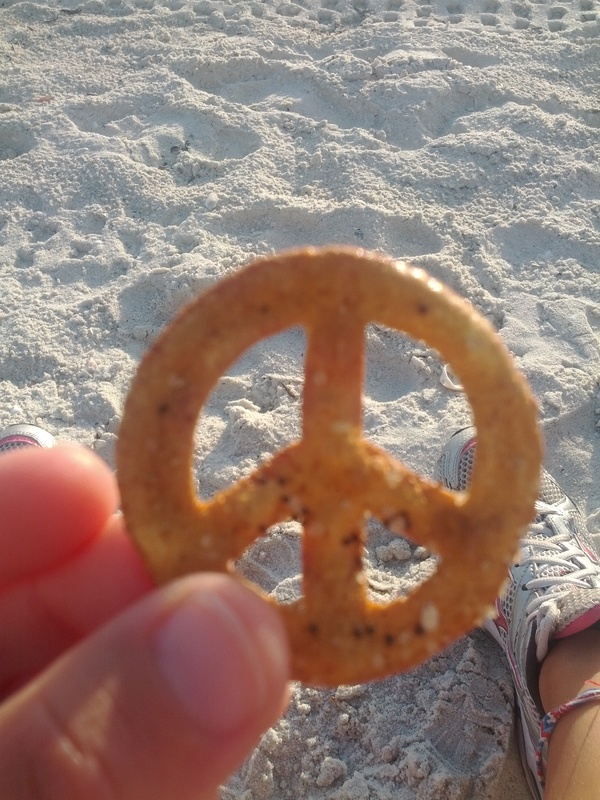 Laurel Hill Oven Baked Pretzel Chips, you may be in the shape of a peace sign but, I have no desire to ever Have a Peace again. You indeed spotted my legs. And those are my old shoes. The shoes you got me are for running only.